I mean Western music, classical music, circle of fifths and all that. Why can’t I have a key with, for example, three sharps -- though not the usual F, C, and G, but instead some other combination like E, B, and D? I imagine it would sound terribly dissonant. I have heard that the reason there is the conventional progression of sharps/flats (i.e. the circle of fifths) and that there cannot be other strange combinations of sharps/flats is because the keys are “built on each other”. However, I’m not sure what that means exactly. Could a key with unconventional accidentals make sound, structural, perhaps even harmonic and melodic sense... a key that is perhaps separate and distinct from the conventional key signatures, and maybe even with a different "quality", "temperament", or "feel"? Your use of 'gravitate' is the clue. Most Western music has this propensity. It gives the listener a feeling of stability. In fact, the tension and release aspect of a lot of music uses this phenomenon to work. Notes and harmonies that put an edge on the music do the same for the listeners' feelings. Over many centuries, the keys, their scales, and the distance between each of the notes thereof established themselves - rather than 'humans made it happen', if that makes sense. All we did was formulate what was already there, as accepted form. Yes, one could write a piece with a strange key sig., but that wouldn't help musicians who are reading it. The key sig. is a sort of code, which gives the reader a clue as to what will be coming. Some pieces in, say, G, with one sharp, could actually sound in the key of Em, somewhat different, but a reader would spot the D# that would often appear. Sometimes, in modal compositions, the 'proper' key sig. of the note name appears, as in, say, one flat for Dm, but if the piece is actually in D Dorian, then all of the Bs get naturalised. This again is a clue for the reader. If the key sig. was, say, B#, as you suggest, and then all the Bs were naturalised, then the process would be pointless. As computer scientist I hold, that key signatures are intended as help to reduce the amount of information to be processed at each note, so a piece in G flat major looks quite similar to one in C major. They are a convenient convention, but there is no strict requirement to use key signatures and you could ornament each note with the appropriate accidental instead. (If all F notes receive a sharp, this would be an indication, that you have at least G major, however). I remember my son received a piece (20th century) to play as prima vista exam, which had the quite unusual signature of one sharp and one flat, so yes, strange pieces exist. I think there are a couple of aspects of this question - there's the issue of what notes you can choose for your piece and still have it sound harmonious, and there's then the issue of how you notate that. As to whether a piece with an unconventional key signature could sound fine, there's no real reason to think not. A piece using the whole tone scale (starting nominally on C) could be said to use an F#, G#, A# key signature, for example. In fact any scale that goes outside the diatonic (e.g. I think some middle eastern and Indian scales, and arguably even blues) is not going to be able to be notated accurately using only the conventional key signatures - It's just that the conventional way round this tends to be the use of accidentals, rather than using an 'odd' key signature. It's very common in traditional musics to have 'non-standard' key signatures; Swedish traditional fiddle music, for example, has many examples, picking one of my books of Swedish tunes and flipping through quickly yields key signatures of F# Bb , and C# (only). 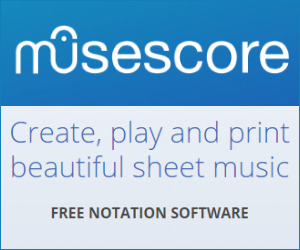 Music based on modal scales also pushes notation out of the 'standard' key signatures, for musics such as Breton, Hungarian, etc. Western classical music has imposed the idea of a logical progression of ever-increasing sharps or flats; out in the 'real world' there's all sorts of other key signatures (or, more correctly, scales depicted in standard notation as key signatures) than that. I believe that musical notation has to be seen as one kind of message. You, as the composer writes the message. The notation is the way to transfer the information. The musician interprets the notation, and hopefully comes close to what you the composer wanted it to sound like. As such you have to consider what the musicians are used to read, to help them on the way. Classical musicians spend most of a lifetime reading notation following a set of rules. So if your message, sorry music, can be massaged to fit into this form it is a good thing to follow the rules (real rules as well as unwritten ones). But then again, if you cannot convey the music using conventional notation, then use other ways. If the music requires it, do write it differently. You can find examples of this if you look around a bit. But only using a non-conventional set of sharps and flats in the key, to mind mind, really does not convey anything you could not convey following the conventions. But it might, only the result of letting the musicians playing the notation will really show. Not the answer you're looking for? Browse other questions tagged theory composition or ask your own question. How to choose a key signature for a song that modulates often? If A minor doesn't have any accidentals, is it still minor? Is the circle of fifths misnamed?